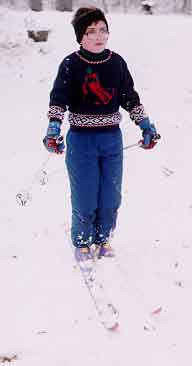 Basic positioning shows the skis parallel and shoulder width apart. Hands are forward holding the poles. 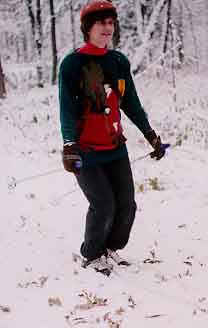 Knees slightly bent for balance and weight over the center of the ski. 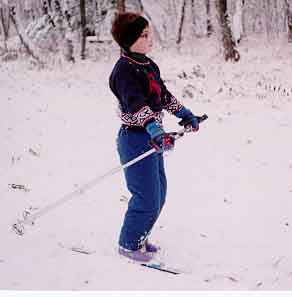 Bent legs also allow for terrain absorption while performing a straight run.